K-Seal can repair most leaks in your engine’s water pump casing and seals. Can K-Seal Fix My Water Pump? If you want to avoid expensive mechanic bills but don’t have the technical knowledge or experience needed to resolve a leaking water pump in any other way, K-Seal is the option for you – it can fix most leaks in the water pump casing and in the seals. Want to get hold of a bottle to fix your water pump? Use our simple stockist search facility and get back on the road – fast. 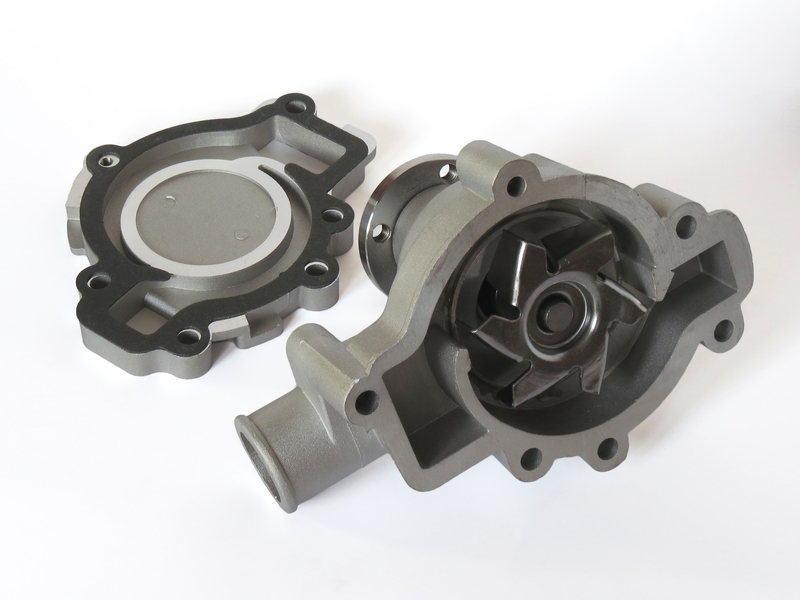 What Are the Symptoms of Water Pump Failure? How Much Will Water Pump Repair Cost at a Garage? The cost of replacing a water pump will vary considerably depending on a number of factors, such as the garage you visit and the car you drive. Although the cost of a water pump will usually be somewhere between $50 and $75, the amount charged for labour will boost the total you pay. Some water pump replacement jobs can cost as much as $500. It’s therefore important to get quotes from a range of local mechanics so you can be sure you’re getting the best deal. How Does a Water Pump Work? The water pump ensures that enough coolant liquid is flowing around the cooling system and engine in order to remove sufficient heat to prevent the engine overheating. The higher the load on the engine, the more the pump will circulate in order to deal with the greater levels of heat produced as the engine works harder. Inside the pump is an impeller (which might be made of either metal or plastic) with blades that push the coolant through the pump and out around the engine. The impeller is then mounted on a shaft with a seal assembly supporting it and allowing it to work without being impeded in any way. The pump circulates coolant via centrifugal force – a belt attached to both the pump and the crankshaft keeps the pump spinning. If the engine overheats, it can break down completely and be extremely expensive to repair, which is why the pump is so important in getting the coolant to the places it needs to get to. Once it has circulated through the engine, the coolant goes to the radiator to be cooled down before returning to the pump to be circulated once more. Why Do Water Pumps Fail? There will always be some water pumps that malfunction unexpectedly for a variety of reasons and therefore have to be fixed or replaced completely. One main issue that can be encountered, and which K-Seal is capable of fixing, is the casing developing a leak. This allows coolant to escape which means it doesn’t circulate through the engine and bring its temperature down. It is inevitable that at some point the polished rubber surface of the seal will succumb to the high temperatures it is subjected to every time the vehicle’s ignition is switched on. Tiny cracks or holes will subsequently develop and let coolant out. It is possible for tiny abrasive particles to get into the pump and damage the seal, such as in tap water that has been mixed with antifreeze to create the coolant (this is why you should only use soft, distilled water if mixing coolant yourself). Corrosive inhibitors in the seal plating deteriorate in effectiveness over time and the coolant becomes more abrasive the more it is used, which is why regular flush-and-fills are recommended. As the inhibitors deteriorate and the coolant’s abrasiveness increases, electrolysis on the seal face occurs and coolant is allowed to seep through it. Although your water pump could be the source of your engine troubles, it might not be the only component you need to take a look at. Select an engine part in the interactive diagram below to explore your engine and the important components that keep everything ticking over.